So in the article Ritual Created Goal Accomplished I spoke of my dear crafting friend Carole Ann who embarked on an artistic journey of discovery with me starting back in 2008. As part of my continued artistic journey I have committed to creating one article a week for Learned Curiosity. This week my article will be featured on Connect the Dots Crafts where I am the guest blogger in the series My Creative Friend for Carole Ann’s Blog. The article published there speaks to the creative impetus behind my artistic work and origins of my interest in up-cycling. I encourage you all to check out the article this week at Connect the Dots Crafts. 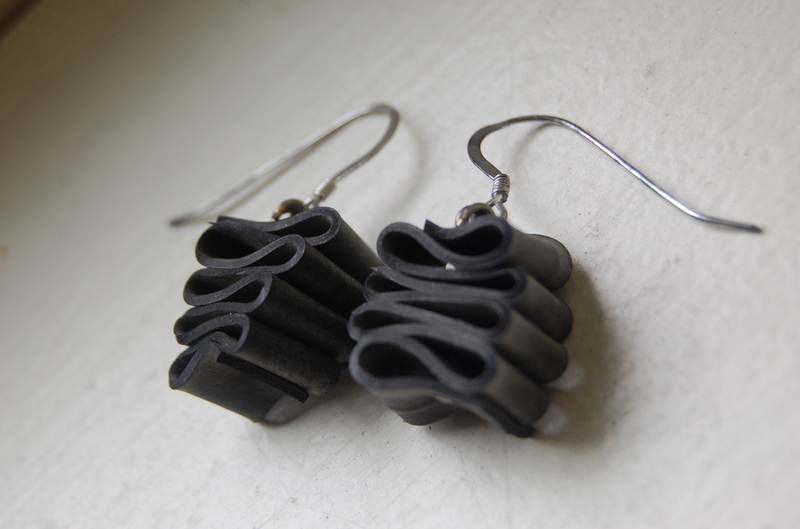 What is your creative impetus? Life for a photographer can not be a matter of indifference, it is important to see what is invisible to others. In the fall of 2008 at a family gathering, my great aunt Joan, simply known as aunt Joan amongst us older grandchildren, was downsizing her collection of photos to clear some of the clutter from her now smaller living space. As we began to scour through the books and boxes of photos she had come to collect in her 70+ years I became fascinated by the concept of historical reconstruction through photography. If each photo tells a story then a collection of photos tells a lifetime of stories. When we cease to exist our likeness is carried on through the visual representation of our image in the photographs left behind. In my mind I began to gauge my life’s story as told through photography. In doing this I realized that this story although true would be quite fractured and unrepresentative of my real existence. 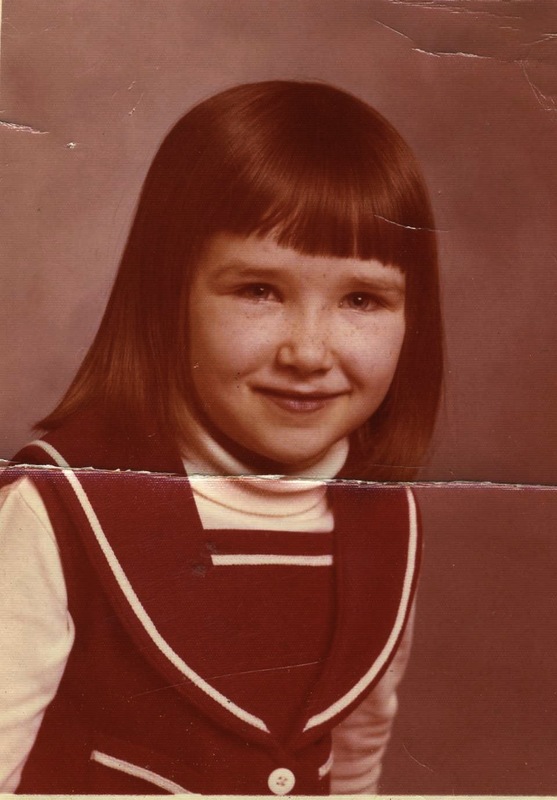 My own early childhood photo collection was marred by a housefire that destroyed everything we owned except a small book of photos my mother was able to save. The VCR would be the next element to influence my own photographic story, followed by a lack of funding to put toward developing photos that were taken. At one point while in high school my mother developed a roll of film that had sitting in her draw for years to find pictures of me getting on the school bus for my first day of head start. Often times our lives, represented through these images, or lack there of, come together to construct what is termed our life’s story. This past week I started in Introductory Class to Photography at RISD. 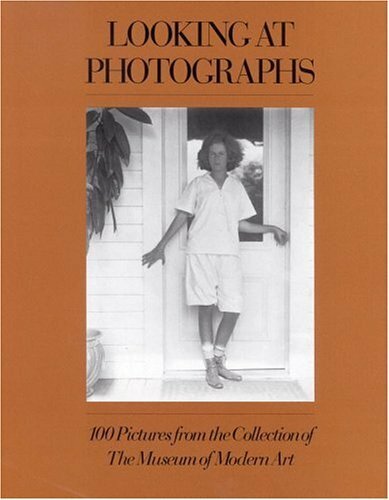 One of the suggested readings for the class is a book titled Looking at Photographs: 100 Pictures from the Collection of The Museum of Modern Art. John Szarkowski the books author uses the Modern Art Museum’s Photographic collection to tell the story of photography since its creation in 1839. ” When Daguerre announced his great invention to the public in the summer of 1839, he explained how it worked but not really what it was for.” The purpose of photography to this day is still a topic that is is debated quite heavily amongst academics and individuals alike. For me the purpose of photography, beyond recording ones on life story, is to bring light to the social ills of our time and to use photographs for the betterment of humanity. William Henry Jackson was one of the first people to photograph the Yellowstone area under the US geological Survey in 1870. “It has been said that Jackson’s pictures were instrumental in persuading congress to set aside the Yellowstone area as a preserve” becoming the nations country’s first national park in 1872. 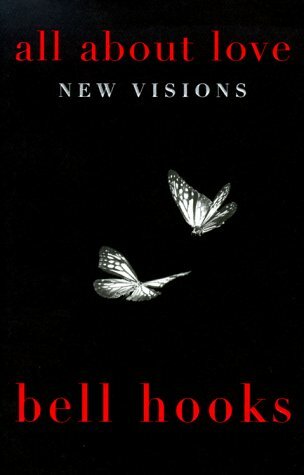 Mr. Jacksons story is one what in which photography has been influential in bettering the world around us. As a photographer concerned with brining light to today’s social ills, I am often confronted by the ethics of photography, especially when it concerns the photographing of individuals. I have had the opportunity to travel far and wide from Cape Verde, to East Timor and Ecuador to Tanzania. Here I have taken photographs of individuals with whom I have little to no connection in attempts to convey the basic element of child creativity and resourcefulness in the face of poverty. As I begin the local portion of my project which will draw comparisons between childhood poverty in Providence and that of the “developing world” I am again faced with the question of ethics. What is my responsibility as a photographer to the people I photograph? In my research for this article I came across the following guidelines or code of ethics written by Chitrabani, a Christian communication center in Calcutta, India. While I do not agree with all the guidelines I find them to be most sincere their attempts to balance the needs of the individual with the need to bring to light the social ill that person will come to represent. My photographic life story will be filled with images of not only my life but that of countless others who I have photographed. The highlighted guidelines I find particularly interesting. What you shoot and how you shoot is determined by why you photograph and whom you photograph for. When photographing people do not treat them as if they were things. Do not take people’s pictures or give images to the imageless. Never depict people as useless or inadequate. It is their helplessness which has to be shown. Do not invade anybody’s privacy except when it is necessary for depicting certain social situations. Yet, boldly reach into personal life, bearing in mind that the photographs you take are your brothers’ and sisters. Never photograph for art’s sake, just try to make the best possible picture. There is no need to prettify people and objects; they have their beauty, and a good photograph exudes beauty. Sensationalism diverts attention from the essential. Shun extra long lenses. A short lens draws you near your subject. Try to establish a rapport with the person you photograph. Let not your photographs drift away from context. Earn the right to see what you wish to show. Your social concern is to document life with empathy. Be true to the image people want to have of themselves, but at the same time do show what you believe is their real image. The dignity of the poor, in particular, demands that their situation be known. A documentary coverage can never be total. Complete a biased image by another biased image. Be an iconoclast – a destroyer of established images. Photos should not be used to exploit the persons portrayed. Refrain from showing a photograph if undesirable manipulation cannot be averted. Your photos have no place in art shows. Lending your photographs for “illustrating” articles that have hardly anything to do with the persons photographed is like lending your voice to somebody else’s speech. Destroy the myth that photographs are duplicates of reality. Ethical documentary photography is not your sole responsibility. But your photographs encourage certain responses in the viewer. On Monday evening a crusader in the Classism movement lost the battle against cancer. Felice Yeskel was the co-founder of Class Action, a non profit based in Boston, which “inspires action to end classism by providing a dynamic framework and analysis, as well as safe space, for people from across the class spectrum to explore class and to identify and begin to dismantle classism. I first heard of Felice’s work through Class Matters, a book I assigned my students to read for a community organizing class, I co-taught at a Private Liberal Arts College. 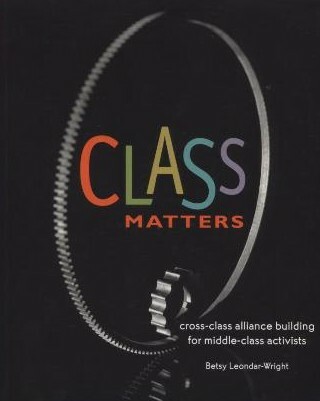 Class Matters: cross class alliance building for middle class activists, by Betsy Leondar-Wright, was the first piece of writing I encountered that was grappling with the difficult task of class dialogue on a grassroots level. While I had spent much time studying various class theories and models for change there was little to no material available on cross-class dialogue. As I delved further into the subject I came to realize these women were at the forefront of work in this field in 2005 and still are today as little conversation has materialized on a national scale in this subject. Felice’s short two page piece in the Class Action book chronicled the issues that arise on college campuses when class is not included in diversity training. 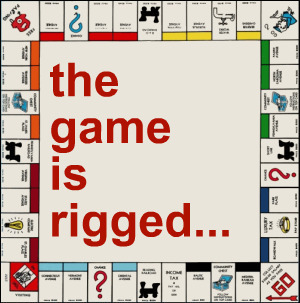 In facilitating support groups for poor and working class students at the college level, Felice stated she came to notice “If you’re white and you come from a poor-working class background, you show up on these [elite private college] campuses and you are having your mind blown hundreds of times a day, and your reality is never noticed or validated by anyone.” The piece gave voice to my own struggles as poor white undergraduate and became the impetus for my submersion in the classism work. In teaching community organizing, I pushed my students to recognize the class differences that existed amongst themselves as co-organizers, before working towards solutions to break down barriers existing between organizers and the community. All too often my students would assume that their classmates /co -organizers were of the same background as themselves, making blanket statements about “common” values they all most hold as like minded college students. 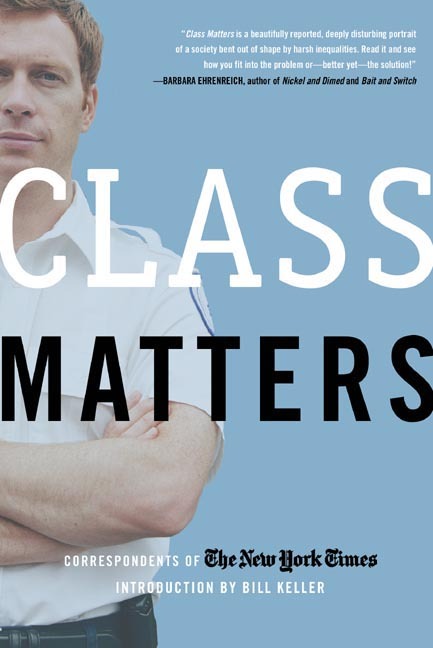 What they didn’t realize was that issues of class needed to be recognized within their own ranks before they could move forward with the important work of supporting their community in organizing itself. Felice poignantly stated in her piece that “Diversity training on college campuses is problematic without classism because education itself functions as a primary access channel for transitioning across class” As much as education acts as a bridge between class divides one never looses the class lens with which they were raised. This is an essential element that is often times overlooked in class based advocacy. My work in the classism arena has continued over the years in various forms, first serving as a proponent of class based affinity groups at an elite prep school in MA and then in the creation of a support structure for low income first generation students of RI entering college. In 2009 I saw a posting by Class Action, the organization that Felice had founded, soliciting short pieces for an anthology speaking to the experiences of individuals across the class spectrum. With the support of a number of friends, in particular Keith, I submitted my own story for inclusion. The suspense was unbearable as I waited nearly a year before being notified this past May that my piece will be published in the Class Action Anthology entitled: Caviar, College, Coupons and Cheese. My selection for inclusion in this anthology served as validation that my experience warrant reproduction and can serve as a learning experience for others. At the moment I am reading Class Matters: Correspondents of The New York Times a book that was given to me by a college a few years back. I’m not particularly sure why I haven’t set myself down to delve into this book yet, despite owning it for over 2 years now, but I would like to think it is because I knew it was important and I wanted to give it the full attention my LEAP is currently allowing. 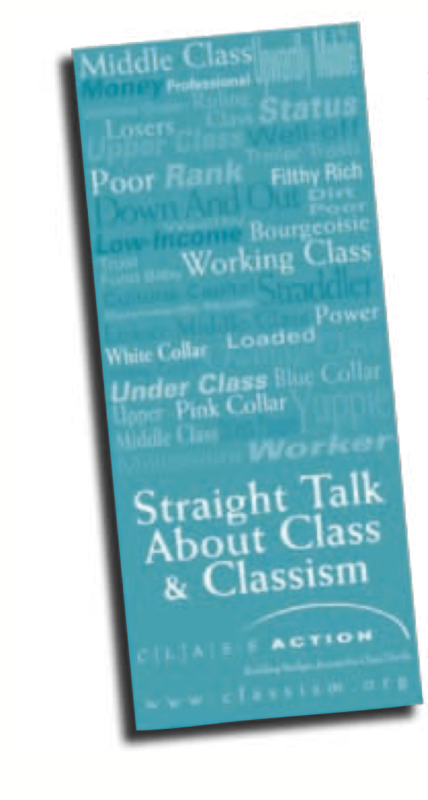 The opening chapter of the book entitled : The Shadowy Lines That Still Divide opens with “One difficulty in talking about class is that the word means different things to different people. Class is rank, it is tribe, it is culture and taste. It is attitudes and assumptions, a source of identity, a system of exclusion.” This comment intrigues me because it is ripe with the ambiguity that makes class the taboo subject of our times. Despite the fact that class is becoming a larger factor than ever in determining who moves ahead in the pecking order and who doesn’t, the understanding of class mobility by society is the exact opposite. A Gallup Poll conducted in 2005 by the NYT found that most Americans believe class backgrounds has less of an impact on social mobility than it did 30 years ago. These statistics are not surprising to me as I have repeatedly viewed the denial of class impact in numerous workshops I have led over the last 4 years. Despite the workshops varying topics including: understanding social class vs. socioeconomic class, cross class dialogue facilitation, and the impact of class on education, there is always an initial rebuff to my statement that we are all impacted by class in negative ways no matter whether we reside at the top or the bottom of the spectrum. It is this gut reaction that worries me. If we are not able to come to the table with open minds and hearts, to discuss in supportive ways the impact of class on our families, our communities and our institutions, will continue to suffer in silence. In my research for this piece, I have found limited resources from which to draw upon for inspiration, as the conversation on this topic has advanced little in the last 5 years. When this is the case it becomes our responsibility to take action, to serve as that inspiration, becoming the change we want to see. I hope one day we will make this a topic one that is discussed openly. For without open and honest discussion there can never be change! Tell me about a time when your class background has impacted you either positively or negatively. Ritual Created, Goal Accomplished ! About two years ago I began crafting with a good friend of mine Carole Ann we called it Crafternoon. At first it was just a way for us to get to know one another outside of book club. I would bring my sewing machine to her house and we would work together on projects or independently on our own projects. In the summer after our first year crafting together we decided to to make this thing we did together a little more formal. We started a blog (which Carole Ann still carries on today), we sold at our art work for the first time at the Down City Arts Festival, and even had our first business meeting where we created our Artistic Manifesto. While a lot has changed in the last year we have both kept true to the manifesto in our own ways. About midway into our year of time together Carole Ann and I realized that our art work had gone in two very different directions. 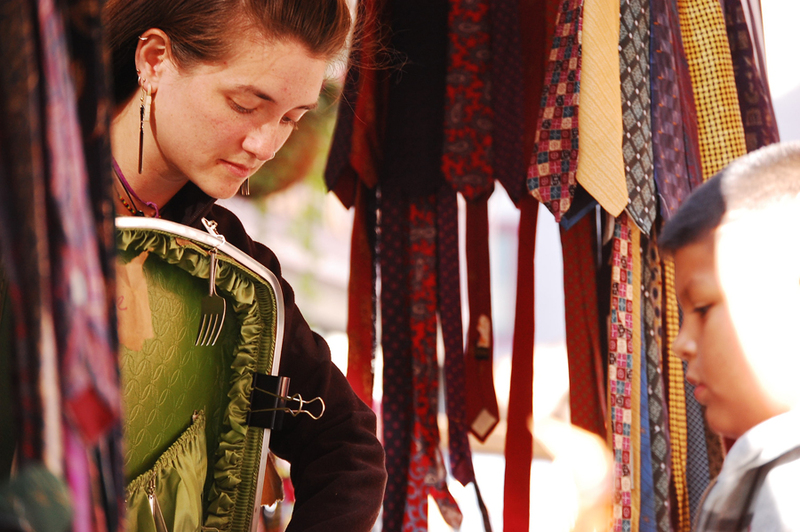 I became obsessed with silverware utilizing the materials and tools available to me at the Steel Yard while Carole Ann kept on moving full steam ahead with her sewing. At this point, we decided to go our separate way, each supporting the others creative ventures. In this separation however, I lost my accountability partner, the person who would check in on me and make sure that I was reaching the goals I had set out for myself. Reaching goals requires routine, routine however, can seem stifling. 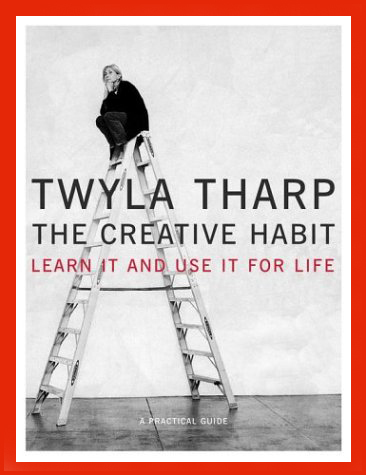 Twyla Tharp in her book the Creative Habit (which Carole Ann gave me as a gift last winter) states it best: “There’s a paradox in the notion that creativity should be a habit. We think of creativity as a way of keeping everything fresh and new, while habit implies routine and repetition.” What makes something a ritual is that you do it without questioning the need”… “It’s like going to church. We rarely question why we go to church and we don’t expect concrete answers when we do. We just know it feeds the our spirit somehow and so we do it”. In creating rituals we get out of the habit of allowing ourselves to procrastinate the little steps that will help us reach our goal. If we make the steps of our goals a ritual we will will be less likely to find excuses for not completing them. One of my professional goals is always to become a better writer. In order to become a better writer however, I need to write. Having a reason to write that I am held accountable is what often makes this goal a difficult one to pursue. Learned Curiosity has given me that reason. In creating this blog I new that accountability would be essential. So when I began posting I attempted to create a ritual for myself. I committed to posting on Learned Curiosity for 7 days straight starting day 1 with with the LEAP plan. Day 3 I would go public and day seven I could scale back. After day 7 ( Which Is Today !) I can honestly say I am quite proud of myself. Making posting an essential piece of my daily life I knew would allow me to set into motion a good habit for my long term once weekly posting plan. Sticking to the posting regime this week has been a struggle. There were many other things I could have chosen to occupy my time with instead however I chose to make Learned Curiosity my top priority. Creating the positive habit of posting I know will assist me in sustaining my commitment to becoming an active writer. While I have accomplished my goal of posting for 7 days straight, there are still many more goals that lie within the pages of my LEAP, I only hope I can be as successful with those as I have been with Learned Curiosity this week. Tell me about a ritual you have created for yourself to help you reach a goal. Any note is better than no note ! As a bunch of costume wearing, alien fraternizing, activists, you may call us crazy we call it love… a love of music and community. When or where you may ask did we fall in love, well the answer is different for all of us but one thing is for sure most of us had not played music in a decade or more if ever before joining the band. 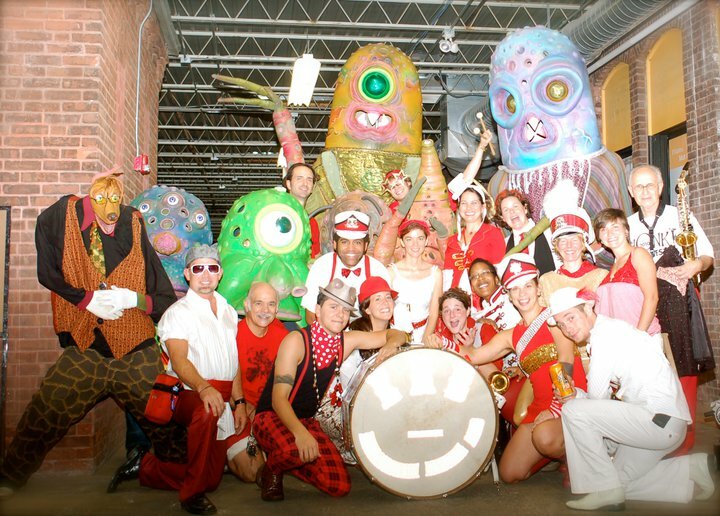 The Extraordinary Rendition Band was formed in the fall of 2008 with an activist bent in mind, this is evident in the name that was chosen to represent the band. If you don’t know what I am talking about click here: Extraordinary Rendition. 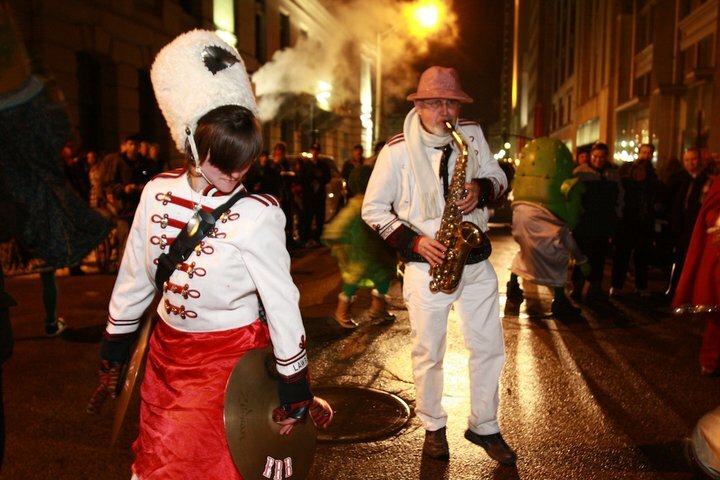 The Extraordinary Rendition Band or ERB as we like to refer to ourselves in short is a local activist marching band that calls Providence its home. I have been part of the ERB for just over a year now and am so thankful to have had the opportunity to learn and grown from such an amazingly diverse and wonderful group of individuals. How did I come to be part of an activist marching band…? My musical journey began at a table in my jr. high cafeteria where entire 7th grade took an aptitude test. I remember clearly the small dual cassette boom box that played notes as we all furiously scribbled onto our blank score sheets where we thought the notes belonged. The outcomes of the test would determined whether we were invited to be part of the band or not. Despite the alienating experience of not being invited I did not hesitate petitioning to be part of the band. My time with this group would however be short-lived, lasting a mere 10-month school year. I bowed out quietly before having to put myself through the chair test auditions (musical ranking process) that was to come in the fall. I would avoid instrumental performance for close to 15 years before being introduced to the ERB by a friend at Wooly Fair 2009. I fell in love at first sight and defaulted to a position of groupie, as I continued to see myself lacking any musical skill. The fear of judgment and failure from my jr. high experience still lurked within me. The leap from groupie to official member came only after 5 months of steady encouragement from various band members. Initially when I joined I knew very little about the intentional activism the band engaged in from its open band policy and democratic structure to its support of specific causes, now these are the things that endear me most to the band … and well of course all the amazing personalities that make up our awesome group. We have played in support of labor rights, queer rights, environmental awareness, arts and community organizations. Here is an awesome short documentary of Activist Marching Bands from the HONK Fest: No Noise is Illegal ! 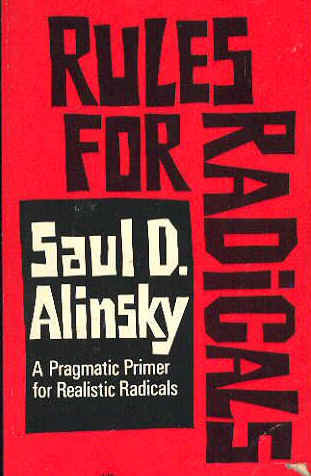 Saul Alinsky, in his book Rules for Radicals, states “The spirit of democracy is the idea of importance and worth in the individual, and faith in the kind of world where the individual can achieve as much of their potential as possible”. In the ERB, we work to ensure that everyone has the opportunity to reach their full potential through our democratic structure, where people are expected to contribute whether it be leading practice, managing gigs or composing music. Often times the term activist or radical is associated with crazy. In many ways we are no different than most of you. In our professional lives we are engineering professors, art professors, college counselors, college students, music teachers, high school teachers, speech pathologists, graphic designers, toy designers, editors, and much more. Our open band policy attracts individuals of all ages spanning the gambit of early 20’s to early 60’s. In our society we so rarely find ourselves in inter-generational situations. On many levels this has alienated us from our elders and reinforced the concept of older generation as “out of touch” relegating them to a place of marginalization. For us the intergenerational element of our band’s make up is an essential piece of our musical creativity. 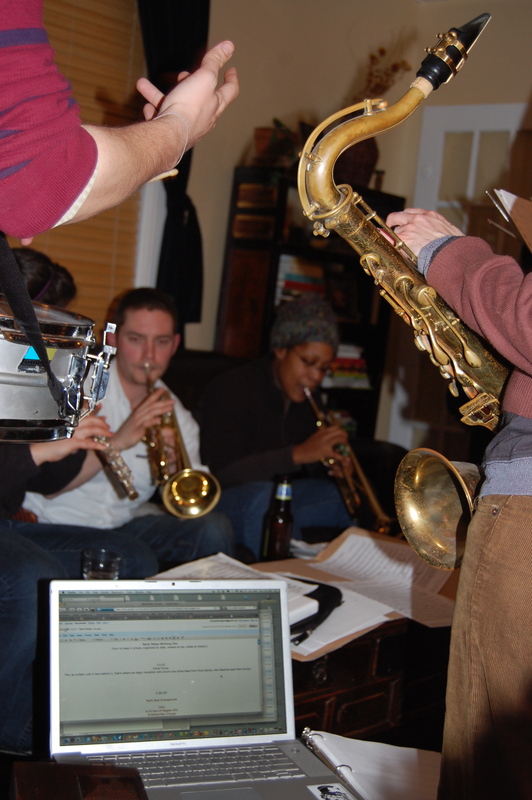 Our open band policy also means there are no “try outs” we accept individuals of all musical backgrounds. While a goal is to operate as one coherent group that eventually produces recognizable music our first and foremost goals is sharing the love of music with others. We work to break down the barriers between the performer and audience whether that be avoiding stages or inviting the audience to be an integral part of our band. In many ways we attempt to break the mold of a Marching Band redefining for our selves and hopefully others who a musician is and what musicianship is while making saving the world just a little bit more fun and weird. If you could learn an instrument what would it be? The Art of Climbing –Zines! 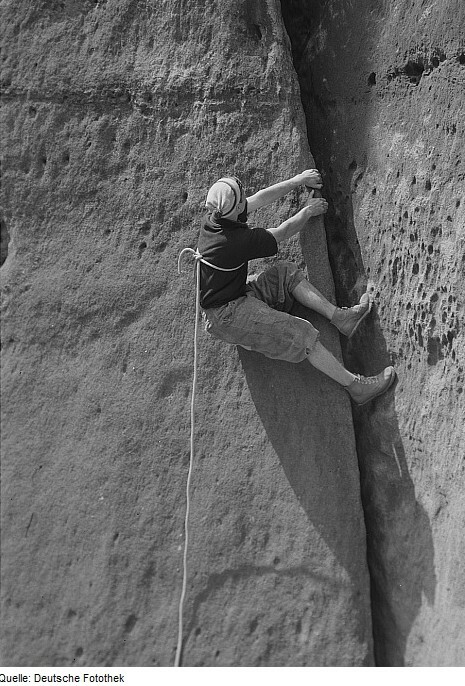 Climbing circa 1965 before modern climbing gear. When I learn to let myself ebb and flow with how my situation pans out on the rock, I find the clarity and vision for problem-solving echoing in the canyons of my mind. A few weeks back I got a package in the mail it was from my friend Luke who lives in Colorado. 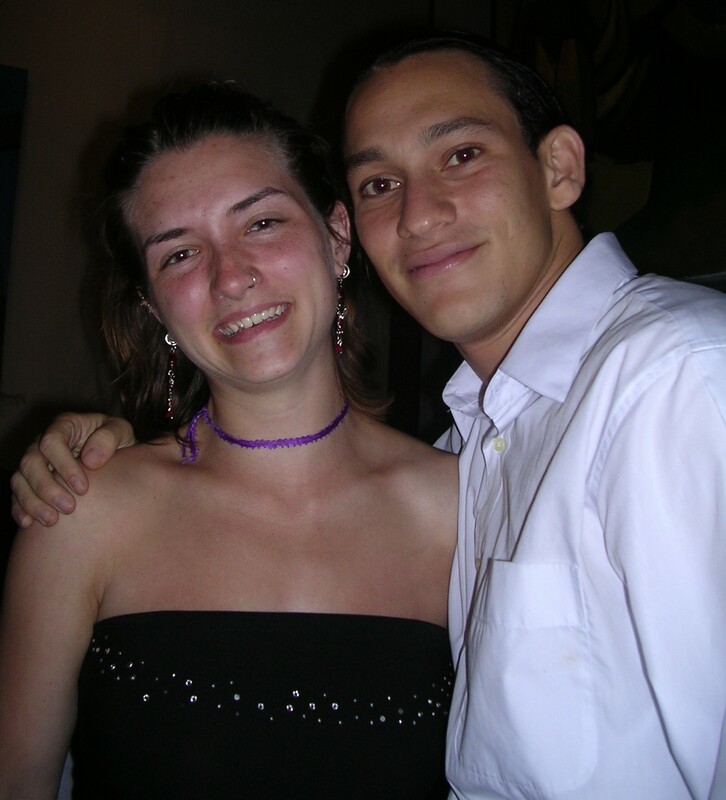 We met this summer while I was visiting a friend at the Rocky MountainBiological Laboratory in Gothic CO. I had headed out west to enjoy the great outdoors something often times hard to find in East Coast city life. Inside the package was the second installment of the Climbing Zine. I had received the first Climbing Zine as a going away present when I left Colorado this summer. So you may be wondering What a zine actually is? If you are one of those people don’t fret I wasn’t exposed to my first zine until after college in my work with New Urban Arts. 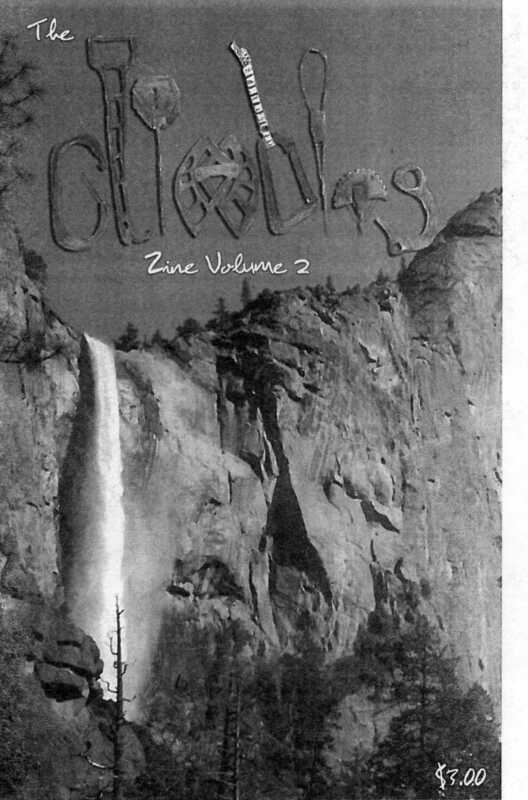 A zine pronounced (zeen) can generally be defined as a self published work reproduced via a photocopier with has a circulation of less than 1,000. Quoting the publishing page from Climbing Zine Volume 2, Luke says that ” Something that has always fascinated me about zines, and the process is the fact that they are produced simply for the sake of creating and sharing art…we are souls that have something to say and this is the venue where we can share that with an audience. He goes on to state that “there is an unquantifiable value in the exchange between a writer and a reader, rewarded in karma that is greater than money.” These quotes epitomize the heart of zine culture –that of a deep appreciation for the art of creation. In Luke’s Piece ” A Year in the Heart of a Climber” I am reminded of my introduction to the climbing world. 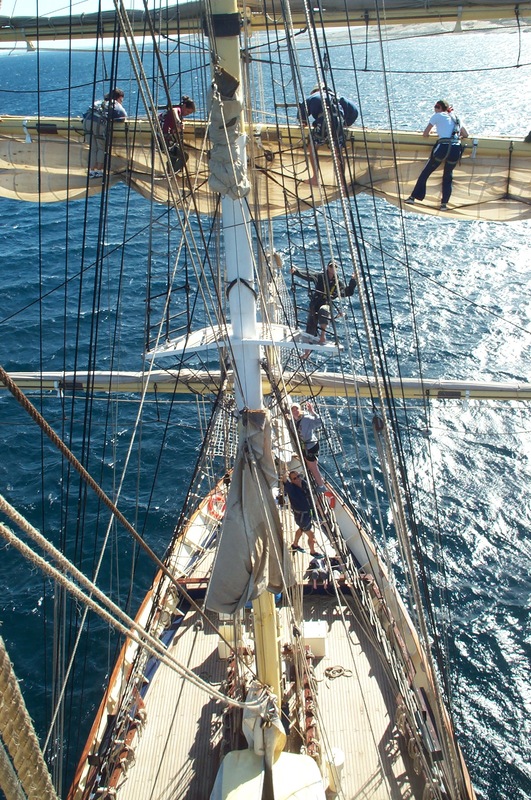 I first got hooked on climbing though my volunteering on the Leeuwin II tall ship in Australia. While I loved climbing masts I didn’t know how this could be translated to a land based activity until I met Mark two years later. Mark was the lead Instructor of Search and Rescue, the experiential outdoors education program at Andover where we taught together. All Hands on Deck route on Shipwreck Boulder Skyland Boulder Patch, Crested Bute C.O. Showing interest I chose to volunteer as a staff support. Here I learned a few essential differences between climbing masts and climbing rocks. 1) You generally don’t climb barefoot unless you are a rock star climber, 2) Other people, not the mast will serve as your safety system 3) There is more than one type of climbing depending on the type of routes and protection and gear you employ. When I first immersed myself in the climbing community I felt as if I had walked into another world. 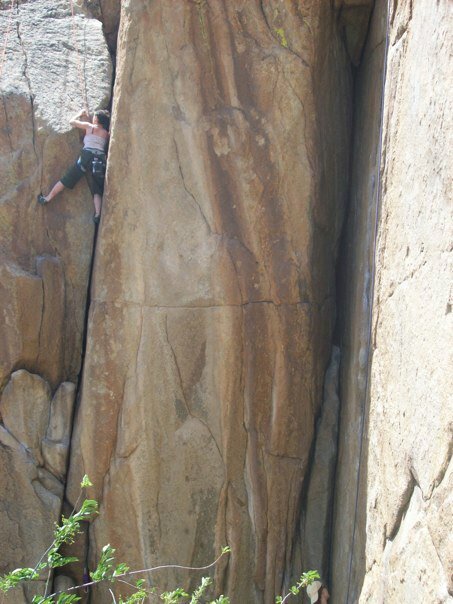 Fellow climbers were throwing around terms like beta, barn door, dyno, mantle, match, send, smear, stem, traverse. While these words held specific meanings in my own vocabulary their new definitions eluded me. Some one might say to me if you match you won’t barn door so much and will be able to send that stem climb. Each new piece of information shared with me about a climb, while utterly useless due to my lack of comprehension, made me feel a welcomed part of the community. Since my immersion almost three years ago I have watched my mastery of my physical technique and mental capacity grow. Climbing has opened many doors for me and forged connections and friendships that will last a lifetime. It has given me reason to travel all over New England including NH, CT, MA and RI. This summer in CO I had the opportunity to climb thanks to Luke and another friend Shane. While in CA later in the summer I was taken under wing as an honorary member of the Bay Area Outdoor Rock Climbing Group . There is immediate acceptance and sense of community that exists amongst climbers –one I have rarely found elsewhere. I don’t know if this sense of community stems from the passion we share for the sport or the trust we place in one another when climbing a particularly risky venture. Each climb I make influences my understanding of my own physical limitations as well as that of others. Each community member gives me a new appreciation for the role climbing can play in ones life. Luke’s Zine offers a space for climbers like myself to explore the many ways in which climbing has influenced our lives. Each story I read inspires in me new thoughts about what it means to be part of a community that values pushing ones own physical limits in the pursuit of the next “great climb”. While I am far from an amazing climber I am very happy with my solid 5.10 /V2 status. In the spirit of the pay it forward climbing culture I work hard to create that same welcoming environment I first experienced when I joined the climbing community. Note: If you would like to submit answers to more than one post please click on the heading of each post to go to to posts individual page. Tell me about an experience where you have felt an immediate member of a community. 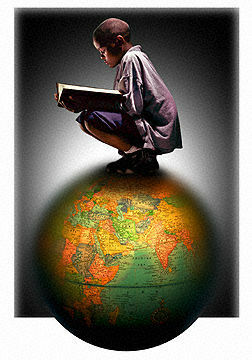 “Schooling isn’t worth anything unless it creates for people the capacity to believe that they can change the world. If our kids don’t believe they can change the world then I think we ought to say that our education has not been strong enough”. These past 8 years my life’s work has been Education. As a firm believer in service learning & experiential education I have come to embrace this methodology as my own teaching pedagogy. In particular I appreciate the pedagogy’s focus on the instructors learning in the process of guiding others learning as well as utilizing education as a means for creating change. In my past work I have had the opportunity to partake in and guide service learning and experiential education programs across the country and globe. In the states, this has included programs in San Francisco CA, New York NY, John’s Island SC Jamez Pueblo NM, Lawrence MA, and Providence RI. Abroad I have worked with the communities of Mindelo Cape Verde, Guayaquil Ecuador, Wellstead Australia, and Ermera East Timor. I find the OHPRI project particularly exciting as it will take learning outside of the classroom. In the wake of RI’s educational crisis, I view learning methodologies that challenge the current practices of standardized testing as a means to a more human centered and fulfilling educational experience. While I was living in Australia I had the opportunity to partake in a month long experiential educational program upon the Leeuwin II similar to what OPHRI hopes to offer. After my voyage upon the square rigged tall ship, I chose to volunteer as a crew member for 6 months, where I served as an experiential educator and honed my skills as a rigg climber. My experience instilled in me an affinity for sailing, which I don’t get to do very often, and also spurred my interest in rock climbing an integral activity to my current life. Below is a video detailing the experience of what a Tall Ship Classroom experience might be like. I often ask students in my service learning/experiential programs to share with one another their greatest learning experience. When we have completed the exercise I work with the students to find the commonalities and differences amongst their experiences. The one commonality I can be sure of with certainty is that their greatest learning experience will have happened outside the confines of a classroom. While no where in the article is the term experiential education mentioned what is being proposed by OHPRI is exactly that. The individual championed as the father of Experiential Education is John Dewy. I am currently reading Education in Democracy and skimming Experience in Education. Dewey’s approach to education relied heavily on experience as the central element in the educational process. For an experience to be educational Dewey believed it needed to have continuity, the idea that one experience fosters in an individual the interest to learn more and interaction that ability for one to grow by meeting their own learning goals or needs. Experiential education is often employed as a method of teaching that takes into account the variety of learning styles needs and goals each individual brings to their education. As the only member of my immediate family non diagnosed with a learning difference, I have come to recognize the immense benefits of experiential learning. While I feel as comfortable in a book as I do in the real world I have deliberately chosen to make experiential learning a part of my education. In a high school class of over 500 I was the only student to pursue both an AP college prep track and vocational track. In college I chose to study the social ill’s of society through my Sociology degree while simultaneously choosing to make changes in these structures through my service learning work in my Public and Community Service degree. In each of my jobs since college I have consciously chosen work that allows me the opportunity to work directly with individuals while offering me the freedom to step back, reflect and make alterations to the larger structures at hand. This year I have chosen to focus my energies on creating my own self designed LEAP( Liberal Arts Education Plan). Overarching themes include Education, Art, Business, Communication, Foreign Language, History, Music, and Physical Pursuits. In a variety of formal and informal ways I have chosen to pursue an experiential learning path that I direct. One where I learn music as part of a radical community marching band, foreign language as an ESL tutor, and history from the local library. This blog will be a space for me integrate my various educational LEAP objectives while serving as an arena to reflect upon the continuity and interaction, to use Deweys’ terms, of my experiential education this year. If you could take the year off to learn about something new what would it be? Recently, while sailing with a new friend I was asked, ” Tell me your history”. The question, originating from a deeply authentic place of interest, caught me a bit off guard. My friend noting my silence followed up by saying “For us to be friends I need to know you, and in order to know you, I need to know where you come from”. As I mulled the question over, I thought to myself Where do I begin? and How much am I willing to share with this new individual? In that moment I was given the reigns to define my history, allowed to pick and choose the elements of my past I found most essential in defining who I was. It was refreshing. Often times those with means are given the power to define others history especially if you count yourself among the marginalized. While my past is static and unchangeable my history is ever evolving. With every new life experience, conversation, and interaction I am given the opportunity to redefine my history- the relationship between my past and my present. Determining what I share about my past is always directly proportional to the sense of comfort I feel with a certain individual in a particular moment. Determining where to begin however is often times more problematic. Where does my history begin? In the hyper individualized western culture I live in, history is often limited to ones own personal existence or possibly that of themselves and their parents. This concept made me question the relevance of ancestors in our own personal history and the ways in which our individual history becomes a part of the larger fabric of a families’ history. To determine my ancestors’ relevance, I had to first determine who my ancestors were. With only one living parent and grandparent, my access to information was limited. 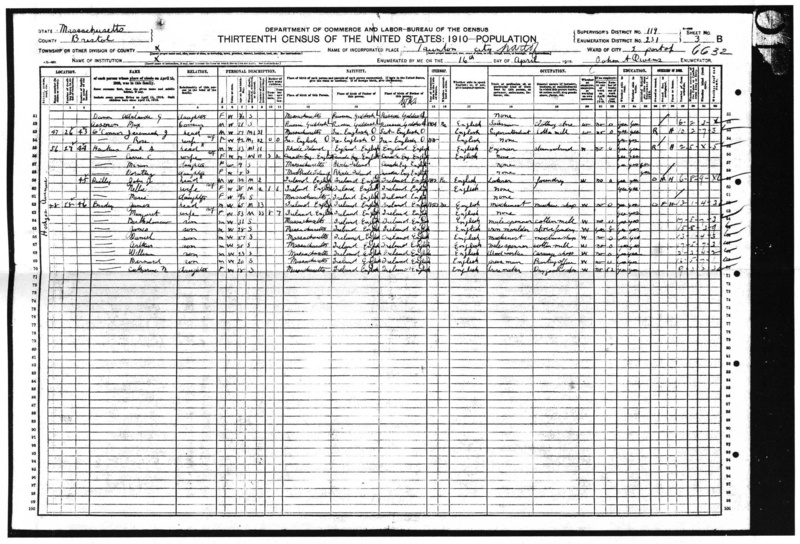 This brought me back to ancestry.com For over a year I have been leisurely imputing information into a free ancestry account with no agenda or purpose other than to create a record. 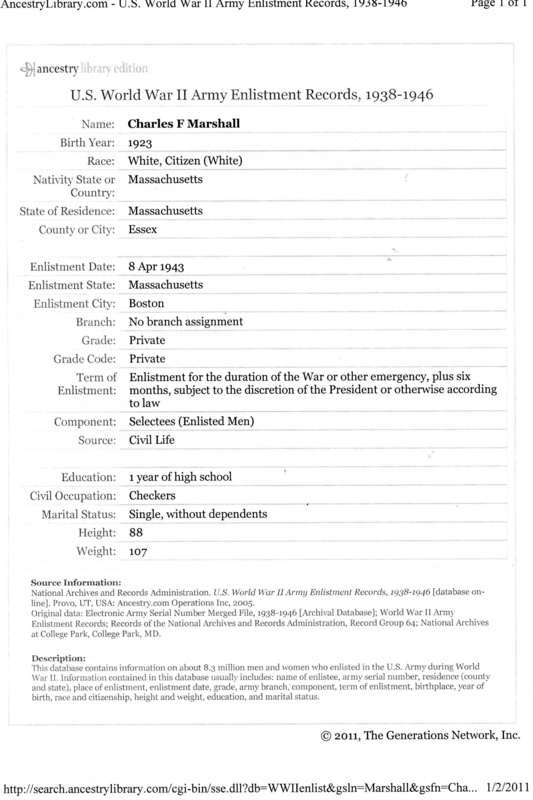 Using the public library’s subscription to Ancestry I was able to access records my free home account could not. 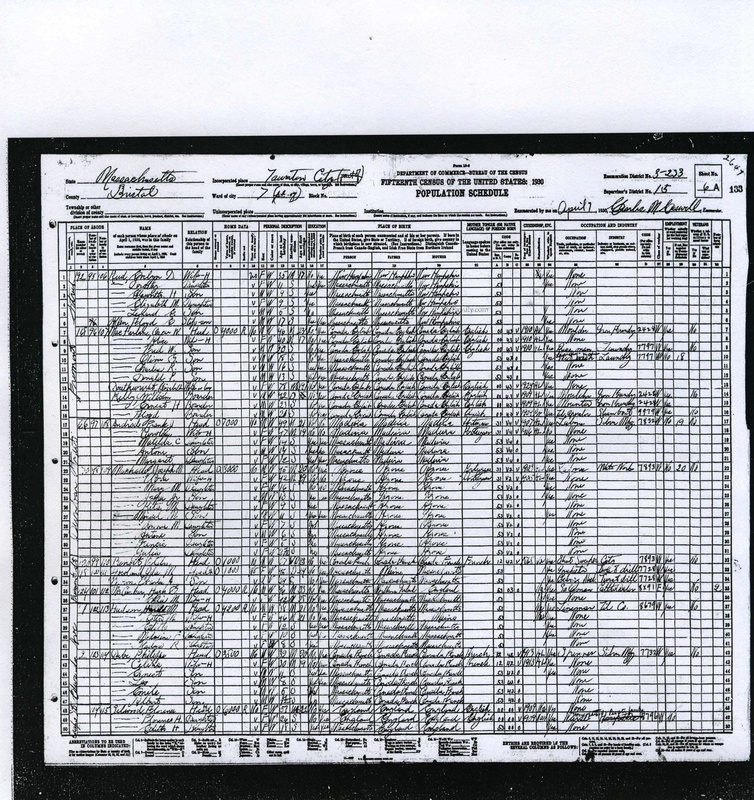 Each time a family member is added to your tree Ancestry informs you of records that may match your ancestors including, census records, military records, church records, community records and much more. And a record of Mothers Grandfather and Great Grandfather Floyd and William Kelly as boarders with the Mac Farlane family. 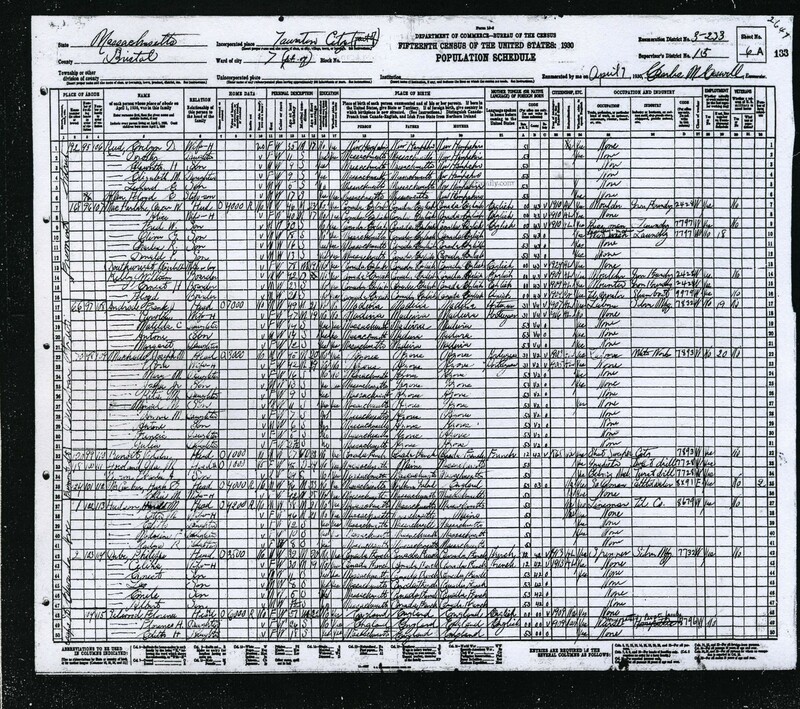 Each document I stumbled upon gave me more insight to my families past. On my mothers side I learned that my Great Grandfather was born in Canada emigrating to the United states in 1909 and that my great great great grandparents were the generation to emigrate from Ireland. On my fathers side I learned that my great grandmother was 108 upon her death and her parent my great great grandmother and father were married at 30 and 33 a bit late for their time period and unconventional as my great great grandmother was almost 4 years older than her husband. So these were my ancestors… the generations that came before me. When I began my research I wasn’t sure what I was looking for but I know what I found will change the intersection of my past and present. Learning about our past allows for us to grow in our understanding of connections to others and the world around us. This growth allows room for positive change to take place. My research has changed the way I view community. I no longer see myself as an individual that exists in the present alone, but as part of a larger community that extends back generations into the past and extends forward generations into the future*. 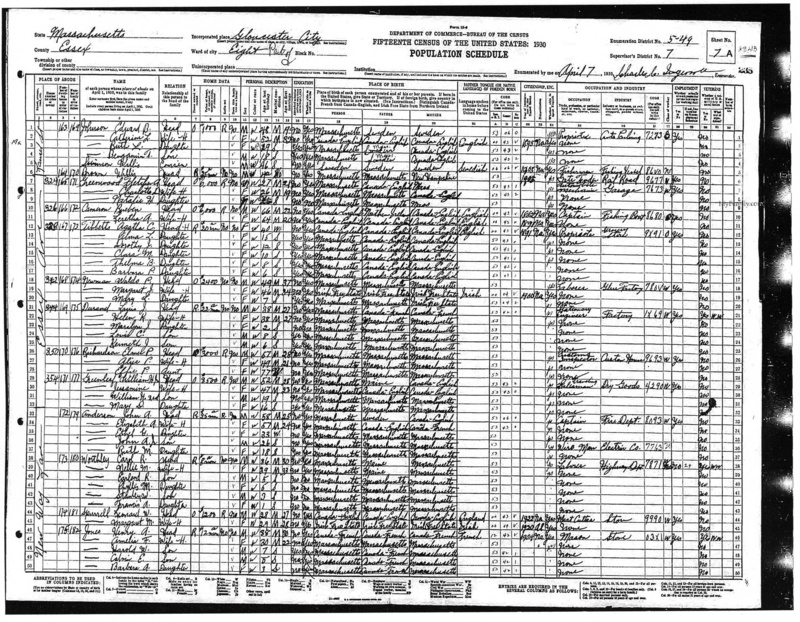 Communal family history is cyclical and I live somewhere along its continuum. *That is of course if we don’t destroy it by then. If you could research one piece of your past/history what would it be?